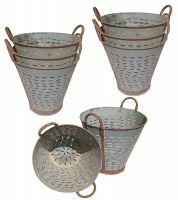 They were used for picking and washing olives and grapes during harvests. Olive Buckets will likely show some signs of wear such as variations and changes in color, rust, scratches, dents, timeworn marks, dust. All of these signs show and represent years of use, history and old age. Make sure that you look at photos to see some examples of any of these features you might get. 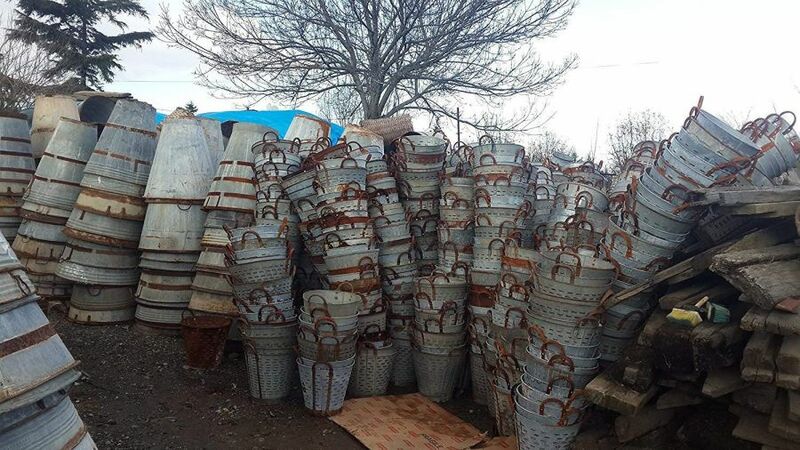 Each olive bucket is unique, due to their each unique life and history, therefore we are not able to take requests or orders for a specific type. This is the best deal you can find if you want to get one these unique and rare pieces full of character.